Meditation is not about becoming a Zen Buddhist monk or learning the art of the Jedi. It is not about reaching enlightenment or learning to levitate. Is there a cure for Chronic Pelvic Pain? Read here. The definition of cure suggests there is a single pathway that will relieve all symptoms every single case. In a recent BBC article titled Prostatitis: ‘How I meditated away chronic pelvic pain’ Henri Astier honestly, openly and bravely discussed his recovery from chronic pelvic pain. 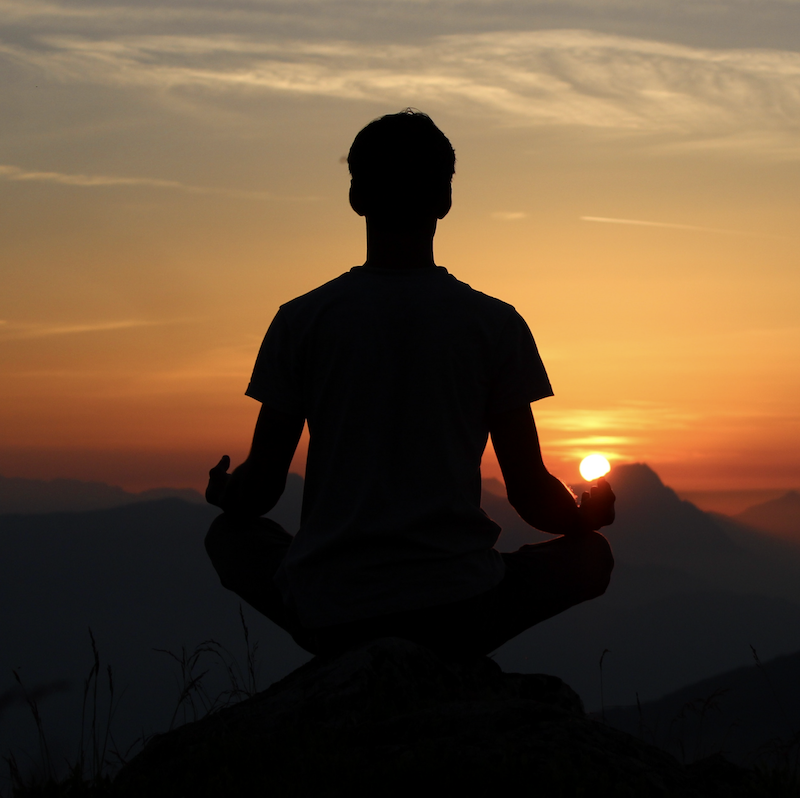 Henri found hope from reading Tim Parks “Teach us to sit still.” In which Tim describes how he used Vipassana meditation to overcome his chronic pelvic pain. For Henri “the solution lay in calming a restless mind.” Our body and minds are connected. We calm help to bring about calm in one when we bring about calm in the other. Bevis Nathan is a specialist in pain and post-traumatic disorders, using Osteopathy, Somatic Experiencing, Breathing-and Affect-Retraining based in the UK; who agrees that abdominal breathing can drastically help to improve symptoms of CP and CPPS. “Diaphragmatic breathing mimics deep sleep breathing, which promotes a relaxation response by various routes. The relaxation response as a whole will facilitate pelvic floor muscle relaxation as part of a global parasympathetic picture. Abdominal in-breath puts a gentle pressure on the pelvic floor that enhances one’s ability to become aware of it. Dr Don Knox is a senior lecturer in Audio Technology at Glasgow Caledonian University. His main research interests include audio and music analysis and classification, music emotion, and music psychology, with a focus on developing multidisciplinary research into music technology for health and wellbeing. I want to reach out again to Henri and thank him for his desire to raise the awareness of chronic pelvic pain in men. Men do suffer with chronic pelvic pain too. And, can recover from pelvic pain too! 1.) Meditation is not about becoming a Zen Buddhist monk or learning the art of the Jedi. It is not about reaching enlightenment or learning to levitate. The initial stages of learning meditation style techniques is simply about giving your system a chance to calm down. 3.) Make it accessible. You should be able to carry out your practise anywhere (within reason.) Learning meditation techniques in sitting with closed eyes for example is great for commuting. Plug in your headphones and use the aids mentioned above to welcome a more relaxed state of body and mind in a 10 to 20 minute meditation.